The Second Annual Mystic Blues Festival will be held June 27, 28 & 29 at the beautiful Mystic Shipyard in Mystic, CT. The festival showcases an array of blues legends, including Grammy winners, Rock and Roll Hall of Fame inductees, and Blues Artist of the Year award winners. 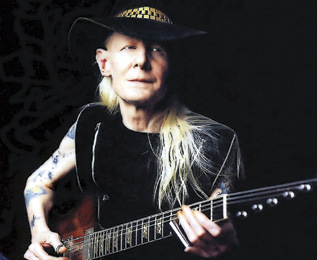 Legendary guitarist (and longtime Connecticut resident) Johnny Winter is performing at the 2nd Annual Mystic Blues Festival on Saturday, June 28. Performances will be held under a massive Sperry tent at Mystic Shipyard, located at 100 Essex Street. A variety of delectable food and beverages will be available on-site. Additionally, an after- party will continue at several bars and restaurants throughout Mystic, where blues artists will perform all weekend long in conjunction with the festival. This year also debuts a dedication to Blues education, with workshops and classes in session throughout the weekend for all ages and all levels of musical talent. The beautiful Mystic region, Connecticut’s number one summertime tourist attraction, is an ideal setting for the festival. With breathtaking postcard views of Mystic Seaport and great restaurants, a state-of- the-art aquarium and unique shops close by, Mystic Shipyard is the perfect venue. Several artists that tore it up under the tent last year are returning, including Christine Ohlman & Rebel Montez, James Cotton Superharp, and Jaimoe’s Jasssz Band. Headlining on Saturday night is the one and only Johnny Winter. In addition to supporting and promoting Blues music, the Mystic Blues Festival also works with the Center For Hospice Care (CFHC). With their philosophy of living as fully as possible, CFHC works with patients on controlling pain and symptoms, enhancing the quality of life for all involved, and comprehensively addressing the emotional and spiritual needs surrounding end of life. CFHC patients and families have an unshakeable source of strength and support, and are able to achieve death with dignity. Tickets are available for each day, as are discounted weekend passes. Children under 10 are admitted free, and we can’t think of a finer way to introduce your kids to this uniquely American music. For complete information, volunteer opportunities and to purchase tickets, visit mysticbluesfestival.com. Email any questions to info@mysticbluesfestival. com, and connect with the event at facebook.com/MysticBluesFestival.